Many years ago when my children were small, we had a strange visitor. It was summertime and our front door was open, but the screen and glass door was shut. I heard a knock on the door and went to answer, thinking it was a neighbor kid asking to play. At first glance, I didn’t see anyone. Then upon inspection on the side of our house, was an amazing sight. The bottom half of our house had brick with a wide cap at the top of it—kind of a ledge. There on the ledge sat a fat prairie dog. The small creature with the light brown fur, short legs and tail, small ears and black eyes on a pointy face, gazed at me. I stared back. “Can I help you?” It was a silly question. 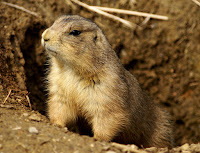 The prairie dog reached forward and rattled or knocked on the door again, cocked its head, turned, and sped away. Across the top of the brick ledge he scampered, went around the corner, and out of sight. I hollered at the family to come, but it was too late. It was gone. I was amazed. I didn’t know prairie dogs climbed. What was so interesting that he knocked not just once but twice? I’ve thought about that event, and told of it over the years. Do you have any idea why he or she did that? I think I might know, or at least, I will tell you a story that may be the answer. 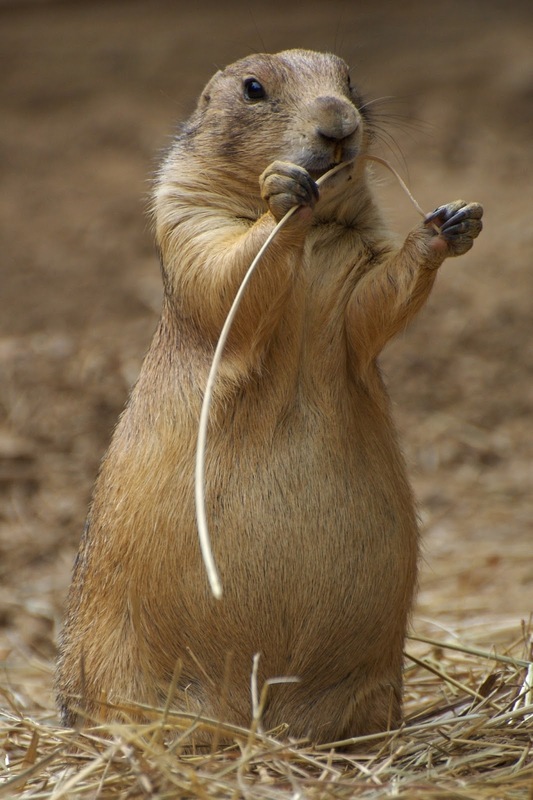 Yantse is a prairie dog who lived in Colorado with her family. She had two sisters, Haley and Paisley, and one brother named, Neely. They lived in a prairie dog community, who made their homes in burrows scattered across an acre of ground. Yantse enjoyed playing with her siblings and the other pups of the community. Her most enjoyable thing she did, was investigate. The other prairie dogs came to expect Yantse to inspect their homes or taste their food. Sometimes she wondered off following scents or objects that blew across her line of vision. Her mother tried to be patient and answer all of Yantse’s questions. “Mom, why do we live in the ground? Why did you pick this spot to make our burrow? Why don’t we live in trees? What was that noise? Oh, that smells good—what is it? Why do we have short tails?” On and on her questions went. Yantse played with it until it was broken into a million pieces and something else caught her attention. She trailed a few red ants to their hill, but learned the hard way not to stick her nose into it. Yantse did as she was told and stuck her nose into some loose dirt and accidently sniffed some up her nostrils. This made her sneeze. She was not having a good day. Exhausted from her experience, she crawled into their den and fell sound asleep on her comfy pile of leaves. Her mom checked on her and kissed her sweet face. She whispered, “I wish I knew what to do for you to help you contain some of your curiosity.” Shaking her head, she stepped back, turned, and crept out. A few days later, the swelling was down and Yantse was back exploring. A Field mouse caught her eye. I wonder where she is going. I’ll follow and find out. They left the acre where the prairie dogs lived and went down a street, to an alley, and down another street. Yantse was tired and wished the little mouse would stop for a while. All of a sudden, the mouse ran in a sewer drain. Yantse was too large to fit. I guess that leads to where she was going. Maybe it’s where she lives. A wonderful aroma assailed her senses. What is that? She stood on her back legs to get a better whiff. It’s coming down the block of dwellings where the two legged animals live. She followed the scent. It led her to a structure. She stopped and sniffed. Yes, it’s coming from here. Mom said I should stay away from the two legged animals and their dens. I don’t see any of the animals. I would love to glance inside. Maybe I can see, or better yet taste, whatever is making that luscious smell. With care she climbed up the side of the house. It wasn’t difficult because it was like crawling up rocks with claw holds. At the top of the bricks she came to a slanted plateau. There, she crawled across to where she could look in. Yantse yearned for a better view. She got up on her haunches and leaned against the glass. I can’t see any two legged animals. Maybe I could get inside. She tried pushing. It rattled! Nothing happened. She tried again, only this time she put one claw around the edge and pulled, slipped and fell against it. It banged twice! She almost took off, but stopped to see if anything would happen. All of a sudden, a two legged animal stood before her. Only the glass separated them. Yanste froze. They eyed each other. Then, the two legged animal spoke! It was a sweet sound. Not frightening at all. Yanste reached up for the glass door and hit it with her paw. A smile crossed the large animal’s face. Yanste remembered what her mom had said about getting into trouble because of her curiosity. Without another glance, she sped away. She heard more noise from the animal and then some racket of thumping as she rounded the corner. She climbed down and hid under a nearby bush until she thought it was safe. Afraid of the two legged animal but more afraid of not finding her way back and what her mom would say, she crept out of her hiding place and hurried home. It took her until after dark because she took a few wrong turns and had to hide from more two legged animals. Curiosity is a good thing if kept within boundaries. Are you the curious sort? Do you ask a lot of questions? Curiosity about your world and how things work is fantastic but can be dangerous too. It’s fine as long as you obey the rules in your pursuits and adventures. Always ask before going somewhere, taking something apart, tasting or taking something from someone not in your home, talking to strangers, looking at or reading books, or getting on internet. There could always be hidden dangers. Be careful, but also keep up good curiosity. Curiosity is searching, seeking, and inquiring. Those things are not bad in and of themselves. Discoveries in new technology or other things we use first came from someone being curious. There is a saying: Curiosity killed the cat. The cat must have done something in its curious nature that ended in its death. Think about that. Please read and memorize: Matthew 6:33 But seek first the kingdom of God and His righteousness, and all these things shall be added to you.